CV’S Family Foods is pleased to announce their 3rd Annual Toy Drive for Children and they will be taking donations until December 10, 2018. 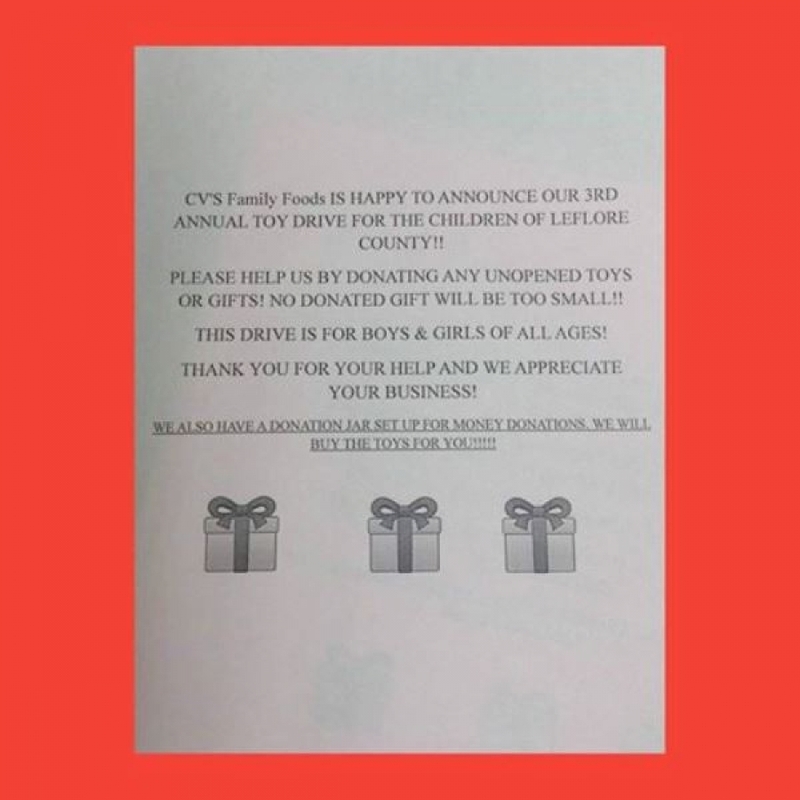 Due to the lack of funding the LeFlore County Youth Services, their Angel Tree applications have been cut down tremendously so CV’S has decided to help. All funds donated go towards gifts, clothing, toys & items for presents for the LeFlore County Youth Services. To donate, stop by Marvin’s at 1100 S Broadway in Poteau. They will also accept any new items.